Persia: imperative and pertinent precursor to modern society. We often buy into modern propaganda about bad things in faraway lands – but it’s tragic that such a diverse, expansive, and influential part of humanity’s past is so grossly ignored. Did you know that Iran (Persia) is one of the oldest continuous cultures on Earth? Did you know that Persian Zoroastrianism predates and influenced monotheistic religions that came after it, like Judaism, Gnosticism, Christianity and Islam? 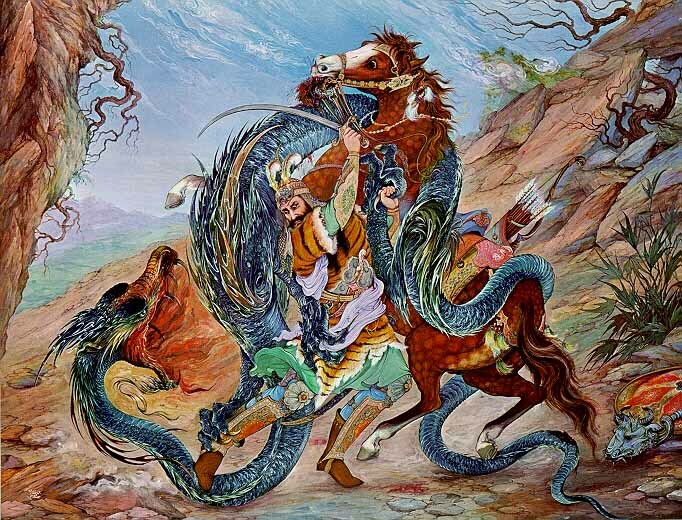 Please read The Book of Kings (Shahnameh) and discover 1) how much of Persian culture is intertwined in yours and 2) the lyrical inspiration for my song casting you as a traveling musician in one of the richest, most colorful and prolific cradles of the human experiment. Published by W.E./Citadel of Cynosure Productions (BMI). All Rights Reserved. Unauthorized duplication, repurposing, exhibition or performance is prohibited by US and international copyright laws. Synthetic to Organic: Citadel guitarist takes you from distant space to the desert sands! 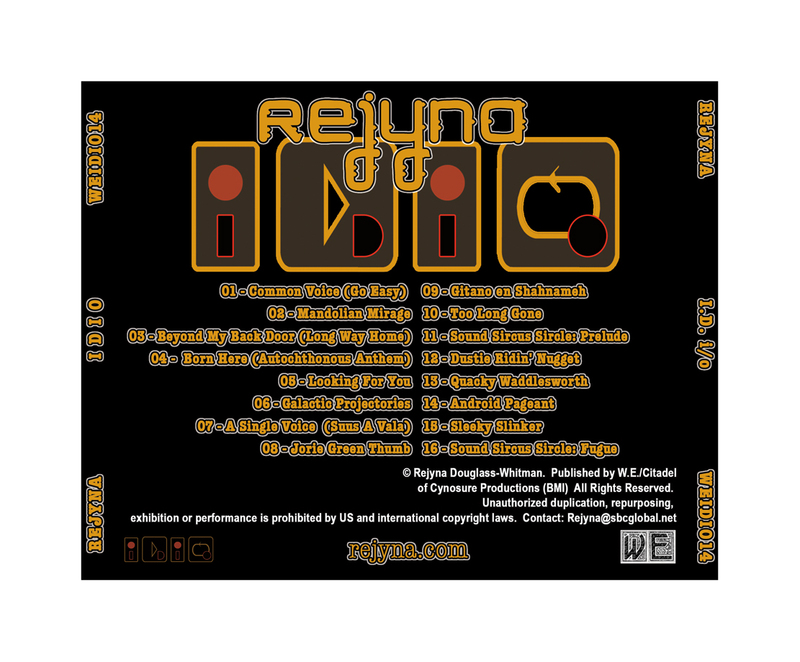 Citadel guitarist/vocalist Rejyna, offers two more fresh songs from her new CD, IDIO. ‘Mandolian Mirage’ is a mando-laced folk-rock piece that transforms you into a nomad, blissfully roaming the desert sands. ‘Galactic Projectories’ is an android-voiced rock anthem casting you as the last organic human to narrowly escape from assimilation by thrusting yourself into deep space. Both cuts are from Rejyna’s new CD, IDIO, available at cdbaby.com/cd/rejyna3 Rejyna is a live-looping artist who uses pedals and effects with her voice, guitar, synth guitar and drums to create lush songs that sound like a full ensemble. Her work in the band Citadel gives her a prog-metal and folk-world edge that slices nicely thru her solo presentation featuring a diverse palette of song stylings. Galactic projectories or cerebral charade? TECH TIDBITS: All music recorded using multiple memory slots on one Digitech JamMan Solo, vocals sung thru a DigiTech Vocalist Live Pro, loops stitched and massaged in SoundForge. No midi guitars or synths were used on these songs. All musical sounds are acoustic guitars (Ovation and Yamaha) thru the Boss GT3 effects board, and drums are played on a Yamaha DD55. No tape machines, virtual multi tracks or DAW’s were harmed (nor used) in the making of these recordings – this is indie DIY…enjoy. Published by W.E./Citadel of Cynosure Productions (BMI). All Rights Reserved. Unauthorized duplication, repurposing, exhibition or performance is prohibited by US and international copyright laws. Citadel is a registered US Tradename, used herein with exclusive permission. 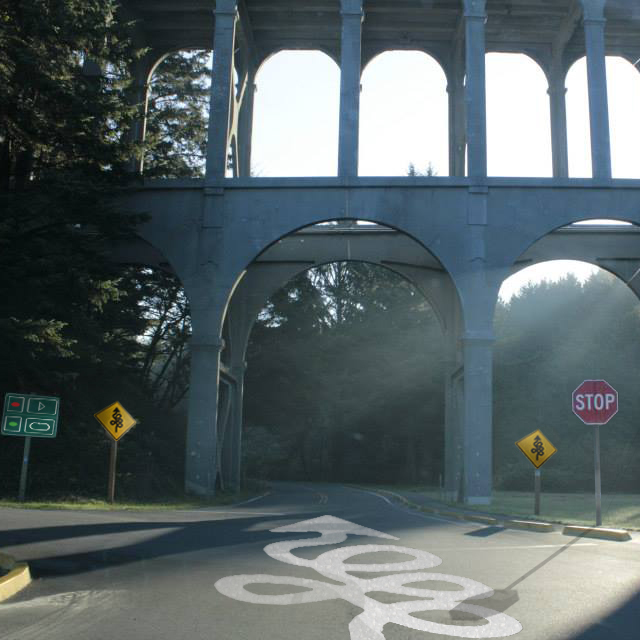 Rejyna tours annually every October as part of the LoopFest concert circuit from Seattle to Long Beach and beyond. A prolific poet, artist, composer and producer, she also works in the film and print industries and performs regularly in and around Los Angeles. ‘Common Voice’ from the new IDIO CD! Do we see it’s all all right? Do we see it’s all of light? roundabout, all around the world. your mind light can shine now. Music recorded using multiple memory slots on one JamMan Solo, Vocals sung thru an SM57 DigiTech Vocalist Live pro and tracked on a DigiTech GNX4, loops stitched and massaged in SoundForge. from the new CD ‘IDIO’ by Citadel guitarist/vocalist, Rejyna. so why can’t you see me? Rejyna at the NW Loop Fest – These shots are from J and M Cafe (http://www.jandmcafe.com) in Seattle’s Pioneer Square. Rejyna also performed her prog folk-ish loop tunes at The Analog Cafe in Portland (http://www.analogpdx.com), Meenar’s in Danville (https://www.facebook.com/pages/Meenar/114043475294324), the RDuck Radio Show in Santa Cruz (http://rduck.com) and the Y2K Loopfest in Santa Cruz – Y2K13 (http://y2kloopfest.com). 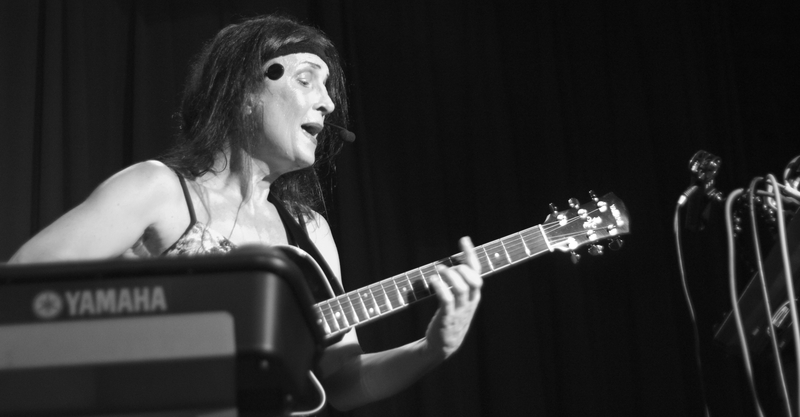 Songs that Rejyna performed included: Many Struggles, In Wonder, Dreamworld, Standing Alone, Stygian Barque, Another Dream Away, Freedom Dream and Happy Hands from her solo CD “Solo Sojourn Live” (http://cdbaby.com/artist/rejyna) and various loop-revised renditions of songs from the Citadel CD’s (http://cdbaby.com/artist/citadel). More photos and videos will be released to Rejyna’s Kickstarter backers first, and then to the public on Rejyna’s SoundCloud (http://soundcloud.com/rejyna) and YouTube (http://youtube.com/rejyna) websites. Rejyna plans to do a Looptober Tour next year as well, hoping to add shows in Texas, Nevada and Los Angeles – as talks for festival expansion will commence this week with Noah Peterson and others interested in hosting Loopfests in their city. Citadel band member, Rejyna, opens for Jim Volk’s Acoustic Guitar Night at 8:00 p.m. at the Peggy McConnel Arts Center’s Bronwynn Theatre in Worthington, Ohio on Friday, January 13. Performing songs she contributed to the band Citadel, Rejyna uses an acoustic guitar, a headset mic and various effects to present enhanced solo renditions of songs from Citadel albums and CD’s. She presents songs that often stray from pop formula writing, citing lyric-writing influences such as; Yes, Jethro Tull, Rush, Cat Stevens, and even Gentle Giant. The musical aspect of her compositions also draws heavily from rock-based genres that feature non-conventional song structures. While Citadel focuses on the harder side of the rock-meter, Rejyna as a soloist strips it down to the acoustic core of the composition. 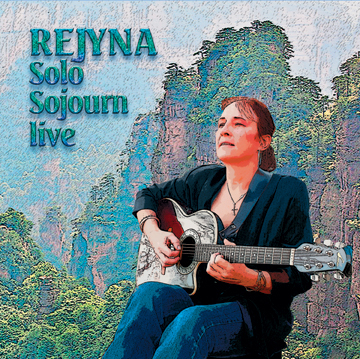 Rejyna recently released a CD of one of these live performances entitled, Solo Sojourn Live, which is available on CDBaby and their online affiliates like iTunes, Amazon, eMusic and Napster. 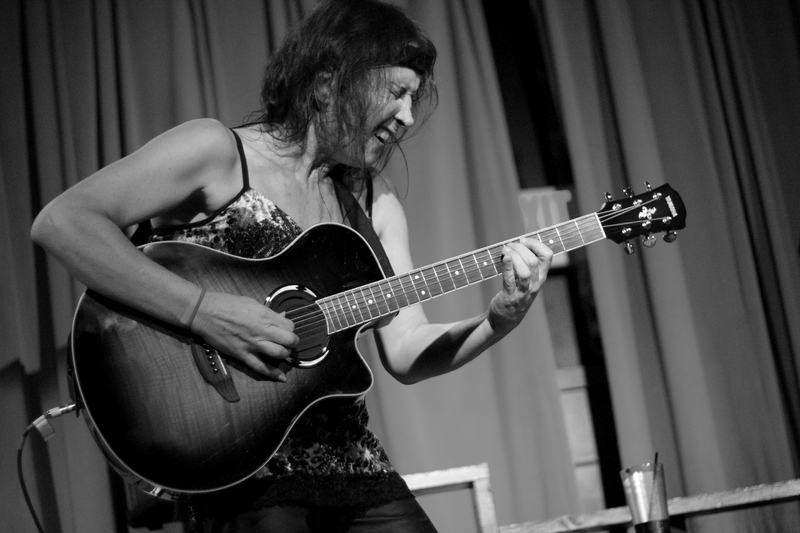 Rejyna will be the opening act for Jim Volk’s Acoustic Guitar Night. “Jim Volk is a high energy solo acoustic guitar player that thrills his audiences every time he plays. His performances include a wide mixture of blues, rock, country, guitar bangin’ “modern acoustic” – and, crowd favorite medleys Jim puts together on the fly. 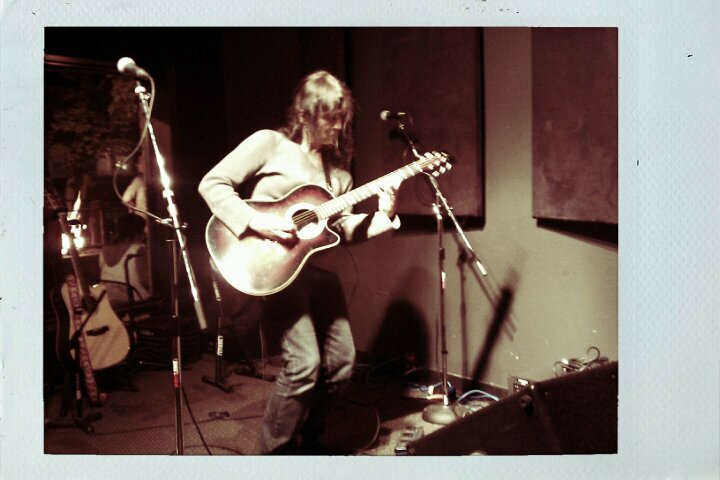 Josh Woods – is a self taught Kentuckian guitar player, himself. Thousands of avid guitar players attempt the extremely complicated Atkins/Travis style of playing guitar, yet only once in a millennium does one come along that was born to do so. That would be young Josh Woods. His long fingers on his large strong hands seem to know exactly where to go on the fret board. And, the rhythm of his accompanying “thumb” is flawless – and, will have you up out of your seat dancing as he plays. Shohei Toyoda – came to finger style guitar from a different direction – he is a graduate of Berklee College of Music, where he developed a love of finger style guitar from virtuoso guitarist, Guy VanDuser – who arranged Stars & Strips for the late great Chet Atkins. Since graduation, Shohei has traveled the world over to learn from the Masters of Guitar. He has sat at their feet to internalize their ’soulful’ music. He brings to the world a form of fingerpicking unique and energetic. McConnell Arts Center of Worthington, 777 Evening St. The original Citadel guitarist/composer, Rejyna, will be performing an hour of Citadel songs ala solo acoustic style at Espresso Yourself Music Cafe in Powell, Ohio this Saturday. Rejyna creatively uses a Digitech Jamman looper and Vocalist Live 3 to weave reworked versions of Citadel songs from several of the Citadel CD’s. Although Citadel has been loosely classified as a progressive band (i.e. 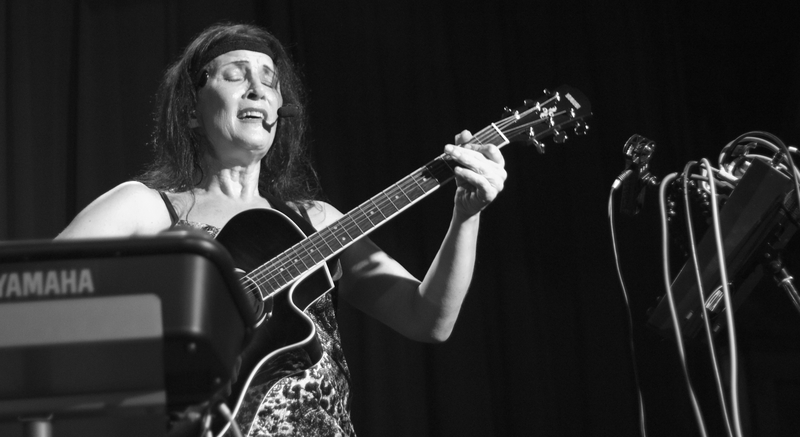 Jethro Tull, Pink Floyd, Rush, Yes, Kansas) for the last 30+ years, Rejyna is giving the band’s songs an earthy twist by performing in intimate venues using a single guitar and some interesting music technology. She does not perform with ‘backing tracks’ or computers; instead she records whole song sections LIVE in front of the audience into a looper which then allows her to layer in vocals and guitar solo and dual leads. Rejyna also uses the latest Digitech vocal effects – but she does not use them for ‘pitch correction’ or ‘autotune’, instead, she uses these devices to add harmonies to her lead vocal line in realtime. For this special New Years Day show, Rejyna will also be joined on “Standing Alone” vocals by her mom and daughter, Margie and Jazmyn. Come on out and hear some good music in a great venue on the first day of the new year!